Hoyle, Tanner is proud to announce that we have been reselected by the Pease Development Authority (PDA) to provide on-call aviation planning and engineering services. Since the implementation of the 1990 Pease Air Force Base Redevelopment Plan, Hoyle, Tanner has provided planning, design, permitting, bidding, and construction administration services for the Portsmouth International Airport at Pease. 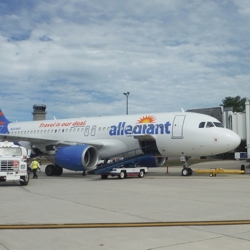 Currently, the Airport provides commercial airline service to multiple Florida destinations, served by Allegiant Airlines. Enplanements for 2014 exceeded 40,000 and are on target for the same in 2015. The PDA campuses includes more than 250 companies, housing nearly 10,000 jobs on the Tradeport and over 14,000 regionally. The Authority also owns and operates Skyhaven Airport, in Rochester, New Hampshire, an important general aviation airport in the Seacoast region. Currently, Skyhaven is experiencing increased aviation activity as a result of the newly rehabilitated runway improvements. Hoyle, Tanner takes great pride in our longstanding relationship with the PDA and all that we have accomplished together including the completion over 25 major projects . We stand ready to continue that partnership on quality, innovative, and sustainable project solutions at this world class facility.